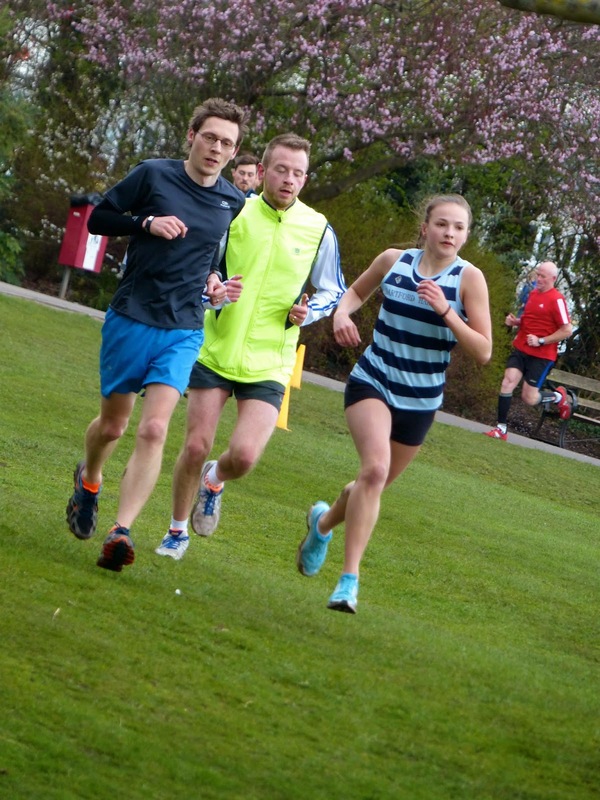 A stiff breeze and colder than expected weather conditions awaited the one-hundred-and-forty runners at Dartford parkrun on Saturday 21 March 2015. And with the third run of every month being 'chase-the-pacer' day, there was a real sense of anticipation in the air. At 9am the run director, Richey Estcourt, addressed the diverse gathering of eager parkrunners with the morning's run briefing. This included an introduction to the day's team of six pacers, who between them aimed to complete the course in 21, 23, 24, 26, 28 and 30 minutes. 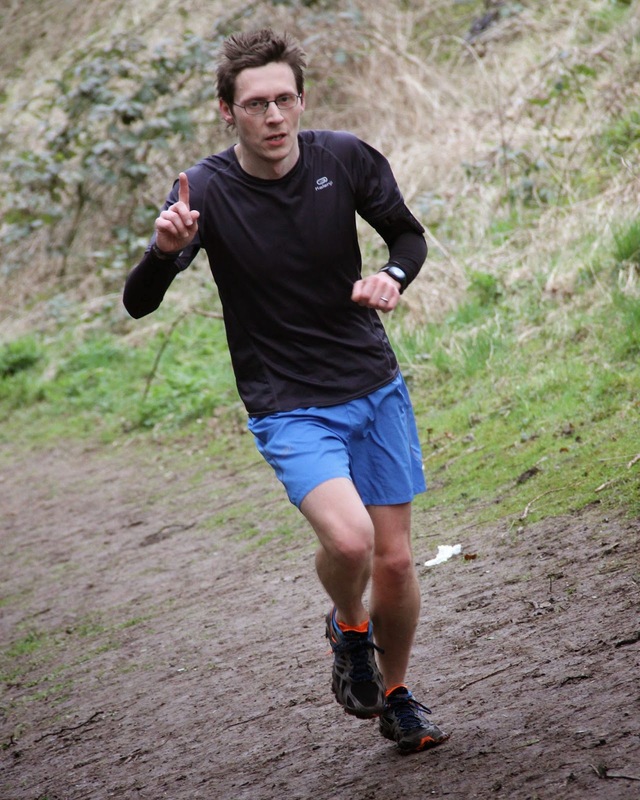 The 21 minute pacer, Steven Stockwell, revealed to us that he was keen to complete the course within 1% of his goal finish time, he said 'I'm keen to complete the course within 1% of my goal finish time'. He explained further; '1% works out at 12.6 seconds either side of my goal time, so that translates into a finish time window between 20:48 through to 21:12'. As the runners streamed off into the distance, a volunteer was overheard saying 'I love the sight of all those runners heading off into the distance, it gave me goosebumps as I watched them slither around the first corner like a really long, human snake'. Dartford parkrun's course features a combination of tarmac paths, a stony path, grass and dirt paths. The recent winter weather had made for challenging conditions on some sections, but now that spring is virtually upon us, these areas are drying out, which in turn should lead to an increase in personal best times over the next few months. 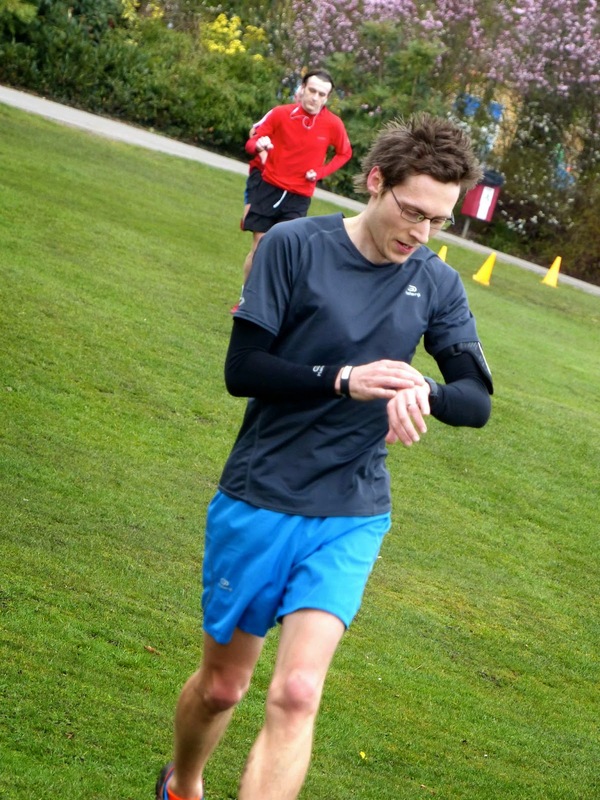 After the run, our 21 minute pacer revealed how his attempt at pacing unfolded. 'The first 500 metres were a little fast but once I had negotiated the incline on the first lap, I had broken about even. I reached the 1 kilometre point a few seconds behind schedule'. Not deterred, he used the second kilometre, which is naturally quicker, to make up the lost time. 'When I checked my watch at the 1.5 kilometre point I was happy to report to my pacees that we were bang on target for a 21 minute finish time. As he entered the second and final lap, he pushed the pace a little in order to reach the 3rd kilometre point a few seconds ahead of where an even pace would suggest. He explained that 'the fourth kilometre features round two of the battle against the hill, and as a result it is the slowest kilometre split of the entire run. To have a few seconds in the bag before reaching this point is quite handy' and 'as the course is not entirely flat, it is best to focus on running at an even effort rather than an even pace'. Before heading into the Dartford Harriers clubhouse for post-run refreshments, Steven added 'I like to think that I helped a few runners to get the best out of themselves this morning. I think at least one of them scored a new personal best and that really is the icing on the cake'.